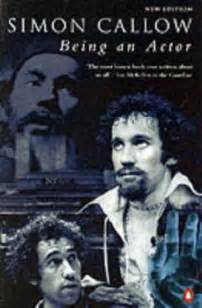 The first part of Simon Callow's book of thirty years' vintage is the biography. In the complementary second part he delves into quite what acting is. He calls it the worm's eye view. “what day by day, hour by hour even, how it feels to be an actor.” For the viewer who sees the acting but with hardly any idea what it is or, more importantly, how it is, his writing is absorbing. He has found the joy that is mastery.